We have to say that the timing seems a little strange for the move. Is the constant media scrutiny of Megha n Markle to blame for this sudden decision. 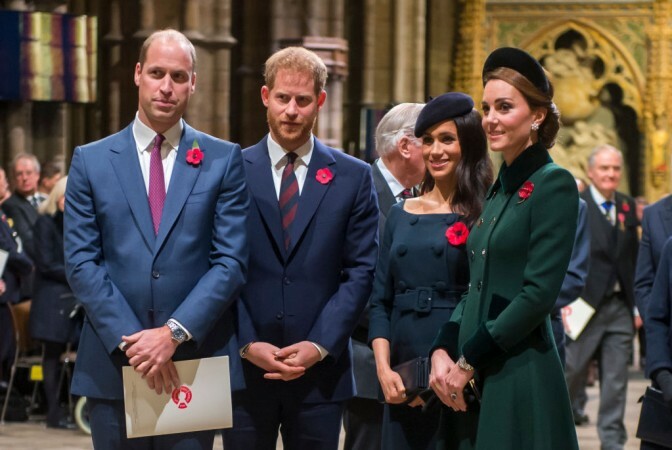 Is there a rift growing in the Royal Family? After all these years the Princes's are officially splitting. Their Royal duties that is. The Prince's have apparently decided to split their Royal responsibilities. But we have to say that the timing seems a little strange for the move. Is the constant media scrutiny of Megha n Markle to blame for this sudden decision. Reportedly the royal brothers are expected to make a formal split of their royal household in order to introduce separate courts ahead of the birth of Prince Harry's child—his wife Meghan Markle is due this spring. The Times claims that a written and formal separation of house, which includes a separation of staff, comes as a result of Prince Harry and Prince William's increasingly different responsibilities as royals. The outlet also suggests the split could "help ease the reported tensions between the brothers and their wives,"—although this is merely speculation. It is being reported that Meghan and Harry are currently renovating Frogmore Cottage, which previously served as housing to palace workers and was comprised of several different living units. The separate units are being rejoined into one large home for the Duke and Duchess of Sussex (and their baby). Meghan Markle has been going through some family drama with her father and her sister airing Meghan's dirty laundry in public. Maybe the embarrassment to the Royal Family is what is causing the split. And maybe Prince William and Kate Middleton are in the process of distancing themselves from the controversial Duchess.